“It Ain’t Half Hot Mum" was a classic television series popular during the Seventies and early Eighties. 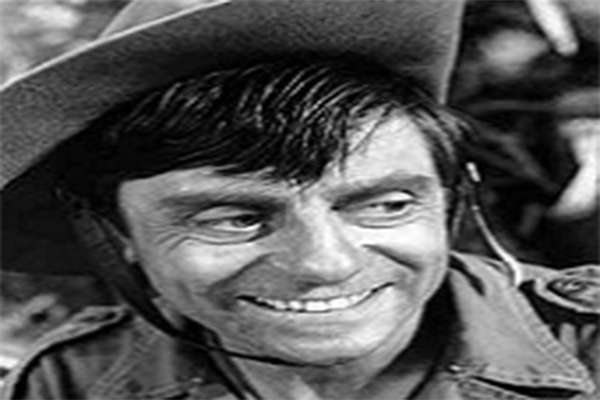 More than 50 episodes were filmed with famous names, including Windsor Davies, Donald Hewlett and Melvyn Hayes. Here Melvyn reflects on growing up in London, his dream home and his love of acting. Q: How did you get started in the world of acting? A: Well, I had the strangest time that anyone could imagine. I started my career playing in Maskelyne’s Mysteries Indian Trick in London, where for four weeks, someone would shout: “Are you ready?”, then I would disappear up a rope for £4 per week. At the end of the four weeks, they said they could not afford to pay me, but they had another job for me. I became the night watchman, personal assistant and show manager, who would fix lights and do anything else that needed to be done. I learnt the business – everyone should know about back stage. That was my start – I worked 24 hours a day – morning to night. A: The first thing I would take with me is my wife Jayne. I would be lost without her. The second thing is some writing material as I have been writing my book now for 31 years. And, I would take my collection of Al Jolson records – he is one of my inspirations. If I could take a fourth thing, then I would take one of those knives to remove stones from horses’ hooves as I would be the only person who could help. A: I live in my dream home on the Isle of Wight. It is about 200 years old with two balconies. There are plenty of pictures in my office. On one wall, there is lots of memorabilia with handbills and stills, while on the other, there are photographs of my family. A: I was born in Wandsworth, south west London and went to school in Battersea. I had to leave London during World War II, but there was an amazing feeling during the Blitz, a terrific camaraderie. My dad was an air raid warden and I can remember doodle bugs flying overhead. He owned a gentleman’s outfitters, where someone introduced him to jeans, but he said they won’t last! Another person came up with an idea of including everything under one roof for holidays, but this idea was not for him, either. The man’s name was Billy Butlin! My first job was in London, too. I am proud to be born in one of the best cities in the world. Q: If you could act with any celebrity – who would it be? A: It would have been Jimmy Cagney, the American actor and dancer. A: I would go back to before 1965 because my mother would still be alive and naturally my father, too. You never really get to say goodbye. A: Yes, a week ago, we were putting up some wooden shelves. I was going to paint them – a very simple blue colour to match the wallpaper. I took them outside, opened the tin and blue paint went everywhere. It went all over me, the steps, the dog, everywhere! A: Frank Matcham is a famous architect, who designed the London Coliseum, the London Palladium, the Hippodrome and the Hackney Empire. Over the years, I have played in most of them, and always know when a theatre is a Matcham. A: Well, it is a split between my bedroom and my office. Q:Tell me a little about your new show – Celebrity 5 Go Motorhoming? A: It is all about the joy of motorhoming. I had a lot fun and enjoyed the adventure. Famous faces from stage and screen [Lesley Joseph, Nick Heyward, Cleo Rocos, and Don Warrington], swap their lives for life in a motorhome and the freedom of the open road. It was amazing – not knowing where we were going until we were told. We were all up for the challenge. Q: Looking back – what was the highlight on “It Ain’t Half Hot Mum”? A: It should have won an award for the set. The series was filmed in King’s Lynn and Farnborough in Hampshire. I would shout: “think hot fellas” even when it was freezing cold. It was a piece of history with eight series. A: If you are prepared to starve and cry a lot, then go for it. Acting is one of the weirdest professions in the world – be prepared to jump in and make a fool of yourself. Learn by watching, listening and enjoy it. I remember watching Dial M for Murder, which went on to become a film and TV series. I started in repertory theatres and later-on taught at a drama school, where I trained Leslie Ash. I was fairly lucky over the years. Q: And finally, what was the most important role or most important thing you starred in? A: The most important thing is talking to you now. Celebrity 5 Go Motorhoming, starts 1st September 8pm on Channel 5 (my5.tv).